Chances are that if you are reading this you’ve got a fly rod and you are looking for a case or tube to protect it. Rest assured you’ve reached the right place and we’ve got you covered. 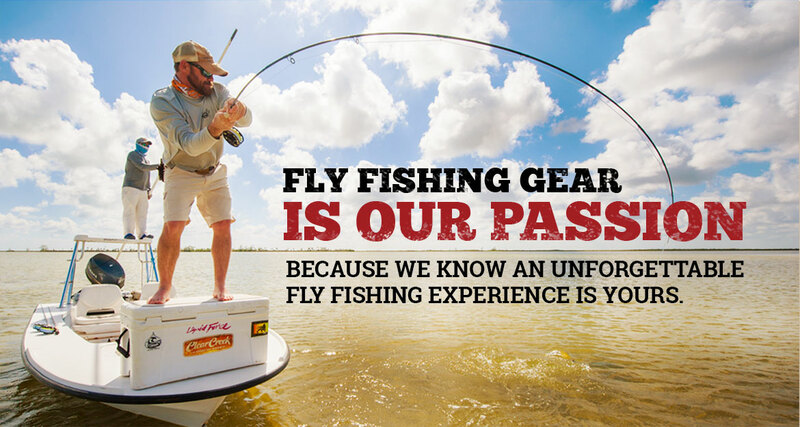 Clear Creek is the World’s leading producer of fly rod tube/cases. And we got that title by producing the finest quality cases for over 20 years for everyone from custom fly rod builders, fly shop owners/dealers all the way to today’s largest rod manufacturer’s like Scott, Winston, St. Croix, G.loomis, Bass Pro and Cabela’s. It’s no accident that all of the top rod makers, both big and small, choose Clear Creek for all of their rod case & tube needs. For those 20+ years we’ve refined and continually improved our processes to make a better case year after year by using materials like top quality 1200D water-resistant cordura, powder c oated aluminum and high-grade crush proof lined PVC cores. Clear Creek is your one stop shop for all of your fly rod/reel protection. Rest assured your fly rods will always be safe in a Clear Creek case. Our bread and butter has always and always will be rod cases and tubes and at Clear Creek we know that just like anything else out there CUSTOM is the name of the game. Powder coated aluminum, anodized caps, cordura color options, screenprinting, embroidery, and choices of handle, strap & divider options literally make the possibilities endless. Have an odd sized rod that you are having a hard time finding a case for? We’ve got you covered. With a team of sewers ready to meet your individual needs we would be happy to build a custom case for you to keep your fly rod/reel protected. We’d love to help you become a dealer of our products. With our ability to add your custom logo to our products a Clear Creek tube or case is a great way to brand your company and make sure to get your name out there everywhere your customer’s fish. Our Dealers have found that fly rod tubes and cases are one of the most often overlooked yet best accessories to carry and add to their line-up. Becoming a Dealer is easy. Click here to send us and email and let us know you are interested in becoming a dealer and carrying Clear Creek products and we will call you with more details. Looking for a quality source to work with on a Private Label program for you rod business? Give us a call we’d love to talk and discuss some of the opportunities that we have for you that will make your rod tube and case sourcing easier for you. Options like free warehousing, negotiable terms, and quick lead times make working with us a no -brainer. Let us handle your case business for you. Copyright Clear Creek Fishing Gear. All Rights Reserved.